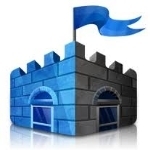 How do I enable Microsoft Security Essentials? The Question:I’m tired of paying for virus updates from McAfee and I don’t really trust AVG’s free version. My professor recommended I try Microsoft’s Security Essentials as an alternative and I’m interested, but can’t find it in my Windows 7 Home Essentials package. So how do I get it running and if I need to download it, where should I go to do that? Ever since Microsoft introduced its own antivirus and anti-malware solution, I think it’s been getting a lot of unhappy pushback from security vendors like Symantec and McAfee. That’s the only reason I can imagine that Microsoft isn’t automatically including it – enabled! – on every new system that it powers. Instead, you have to download it, but it’s a free download and it’s pretty darn easy to install. And as for the other anti-virus solutions, I’m sure that they’re still good and they definitely offer capabilities that Security Essentials doesn’t offer, but if you haven’t cracked open the hood in Windows 7, there’s a lot you’re missing. To start, there’s a built-in spyware protection system called Windows Defender that you should definitely be running already. Let’s start there. Ask Dave Taylor Microsoft Security Essentials. permalink. Why do so many people forget their password? I turned off the MSE. can any body tell me how ? WINDOWS SECURITY ESSTENTIALS GIVE ME AN ERROR MESSAGE 8004/? AND WON’T COMPLETE INSTALL. WHAT IS MY PROBLEM AND HOW TO CORRECT. http://www.afterdawn.com/software/security/antivirus/security_essentials_vista_64.cfm I have been using this service since it was created follow the link uncheck the ad on boxes when you load or you will end up up with to manu too bar good luck and stay safe. Backwards, please. I have Windows XP Pro running in BootCamp (on a Mac.) I have NEVER been able to install MSE, even though I once actually removed ALL security programs, including the ones that couldn’t possibly interfere with anything else. (Of course I restarted many times, and also combed through the registry for anything that could have caused the problem. No dice.) Could this be because of the difference in architecture, or something else? And, if it’s something else, how do I find out what it is that’s preventing it? I’d really appreciate some help. Microsoft doesn’t tell you much, whether you’re a Mac-user or not. Hi, just wanted to know why, when running MSE is running in Windows 7, Win defender turns off and no matter how you try to turn Windows Defender on, it will not turn on while Microsoft Security Essentials is running? @Ian: Because Microsoft Security Essentials includes a spyware scanner to I think, so it automatically turns off windows Defender which is a spyware tool. There’s no point running the same tool twice it wastes resources. Hi, once MSE is running, windows defender turn off and cannot be turned on. Can you say why?